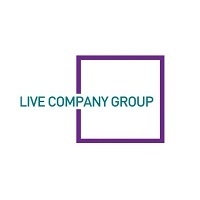 Live Company Group PLC (LON: LVCG) has today announced that, on 29 November 2018, the Company’s wholly-owned touring subsidiary, Bricklive Touring Limited, entered into an agreement with AWC Asia, a company incorporated in South Korea, for the lease of the Group’s Mythical Beasts touring assets until December 2021. In consideration for the lease, AWC Asia will pay to BL Touring a Content and License Fee of US$1.3 million in cash, payable up front. Mythical Beasts, which comprises a LEGO® model tour featuring over 50 models, has been created and built by Bright Bricks, the model building company recently acquired by the Company. The Mythical Beasts Asian tour, which will be staged and promoted by AWC Asia, will launch in South Korea at the end of January 2019.